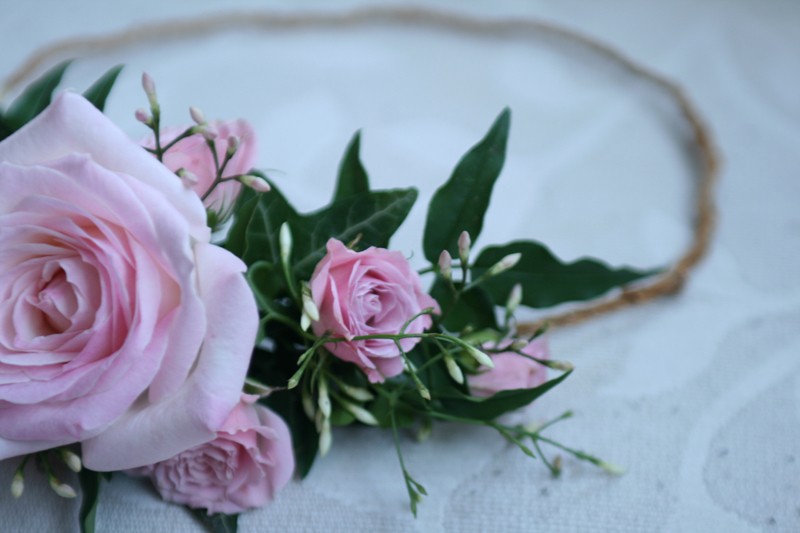 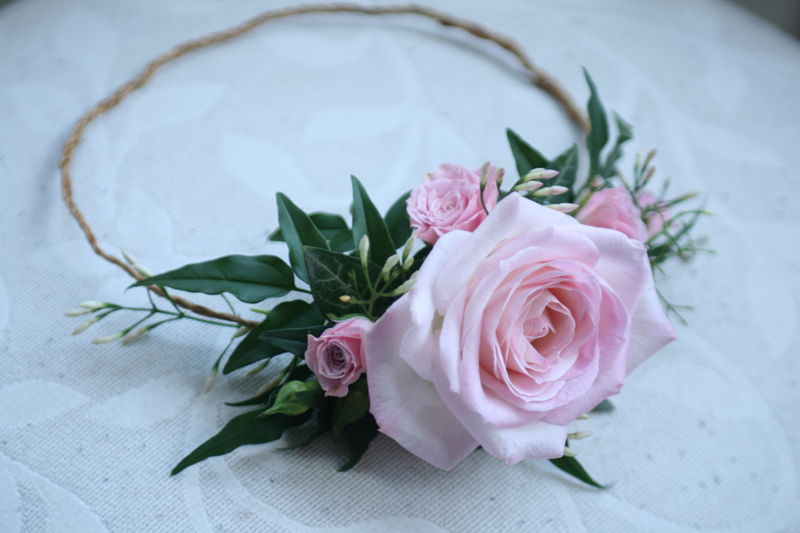 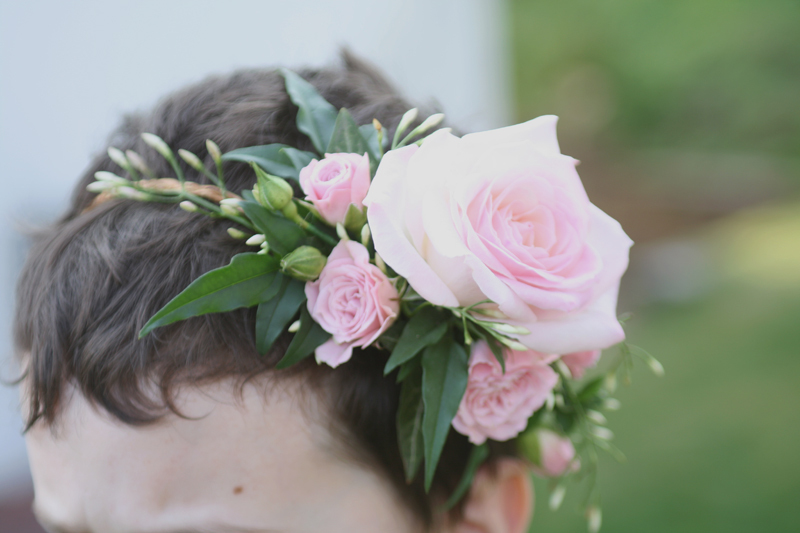 I created this circlet for a flower girl recently. 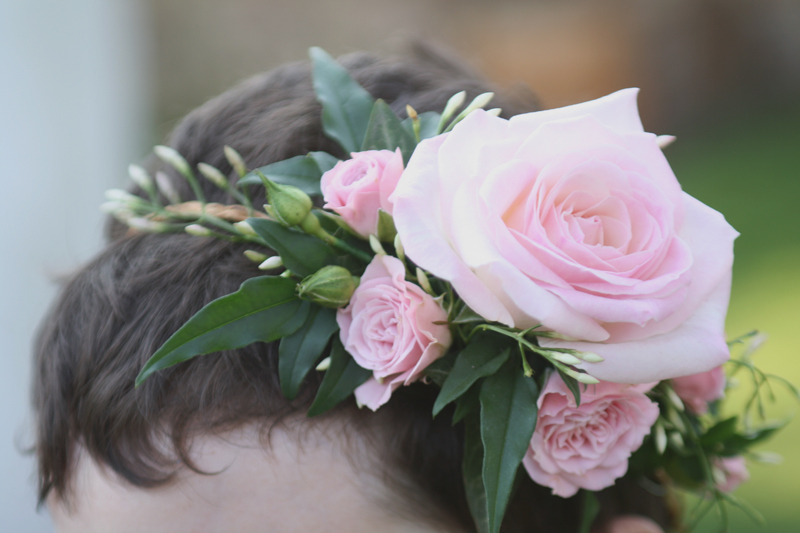 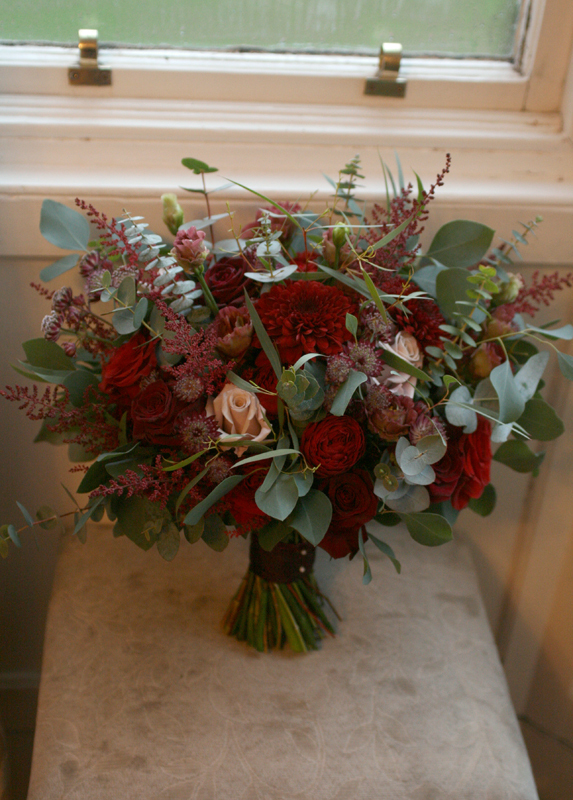 Three pieces of wired paper twine were pleated to create the circlet base and a spray of roses, spray roses, jasmine foliage and flowers were attached to the base. 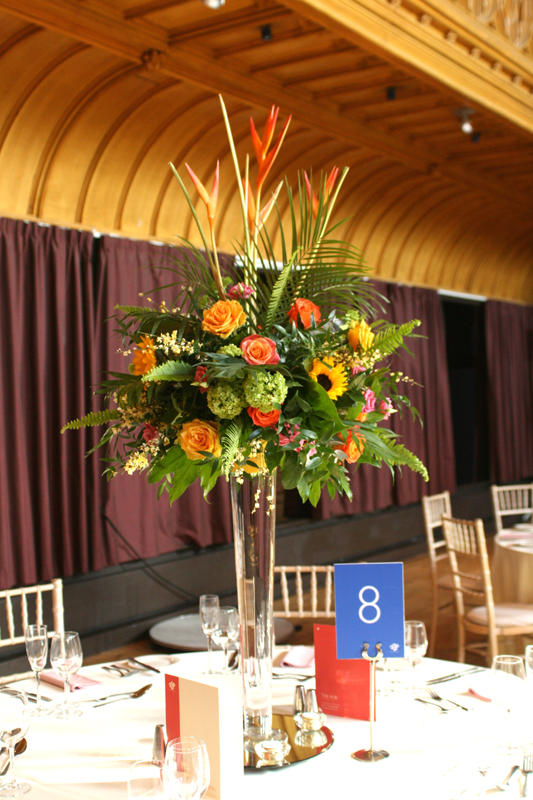 Only a small section of the base was covered to give a more lightweight and modern look.